No more enduring the cold temperatures and freezing fingers just to run your touch screen electronics! With Women's Texting Gloves your hands and fingertips will be protected from the cold, and your electronics will still be accessible! From ATM's to Smartphones and iPads to GPS', the Ladies Touch Screen Gloves runs them all. With two conductive finger tips (thumb and index), these gloves offer easy and convenient use with any touchscreen device while keeping your entire hand and fingertips covered from the cold. Type up a text message, plan a route, select an ap, read an ebook, and more with out taking off your gloves. Ideal for use with cell phones, tablets, eReaders, smart phones, digital cameras, GPS/navigation units, at an ATM, DVD rental kiosks, gas station service screens, and much more! 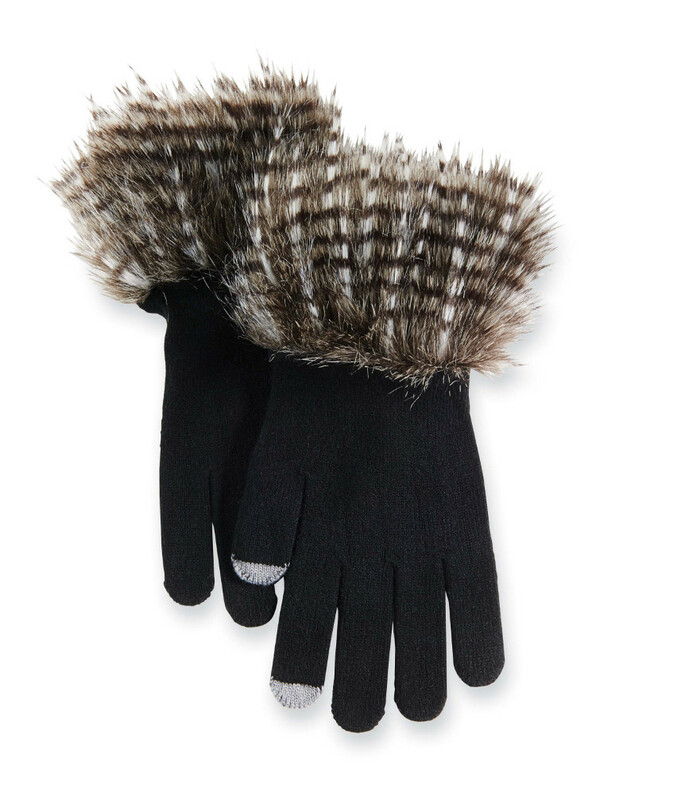 Acrylic knit gloves feature "smart screen" technology and faux pheasant fur trim at wrist "smart Screen" technology on index finger and thumb.